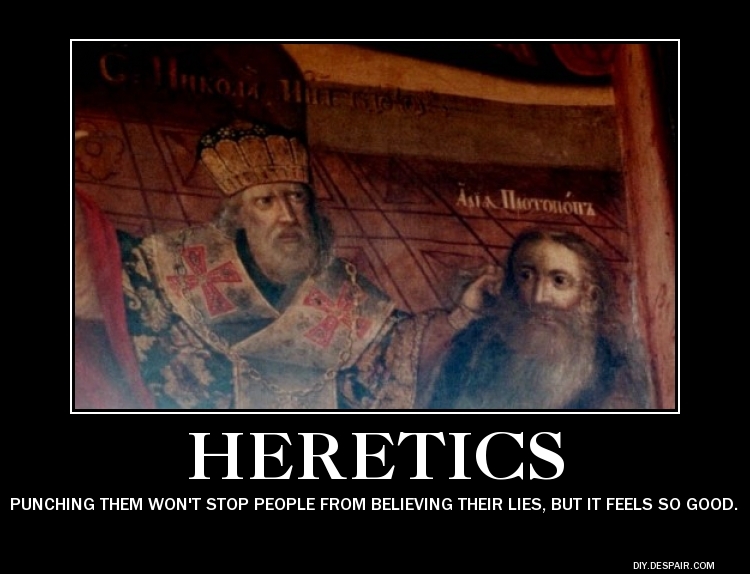 This entry was posted in Uncategorized and tagged Arius, demotivational poster, fighting, heretics, what to do with heretics by Susie. Bookmark the permalink. I think your sense of humor is hilarious! Love it. Thanks for stopping by my blog today…it is such fun to “meet” new people this way!